The Internet of Things (IoT) opens many doors in a variety of domains with the technology already existing. Transportation and mobility in general are huge beneficiaries of this new way to connect devices. 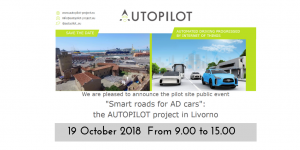 The “Smart Roads for AD Cars” Stakeholder Workshop and public event in Livorno, which are held from 18 October until 19 October 2018, is an opportunity to get an insight into the achievements of the AUTOPILOT project so far. 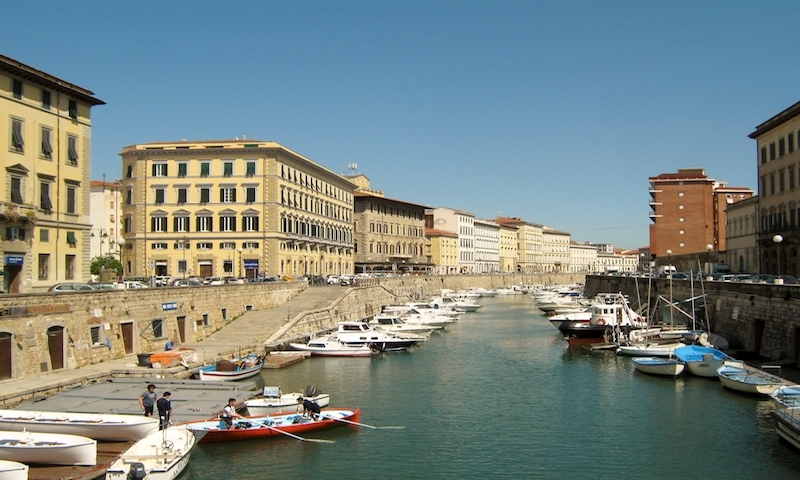 Livorno is one of the 6 AUTOPILOT testing sites with the goal of proving that IoT technologies can advance automated driving in different scenarios under test. The two days are marked not only by several presentations of the AUTOPILOT project and the Livorno test site, but also by demonstrations of the achieved results (AD vehicles’ speed adaption at intersection with traffic light violation, among others) and workshops (Business impact and legal issues). More information about the agenda can be found here. Please mark this date in your calendar and do not miss this opportunity! Registration and more information about the event and the project can be found here.